Imagine having a horse of your own for the week! 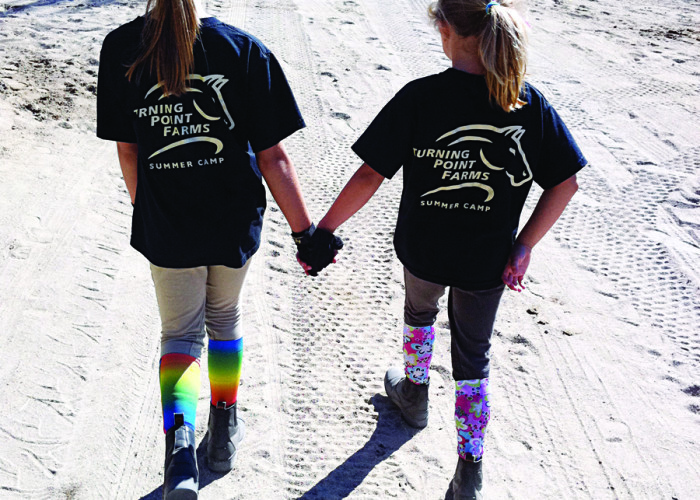 The Turning Point Farms camp program combines caring and qualified staff, experienced horses, and excellent facilities where campers learn riding skills, expand their horsemanship knowledge, and enjoy riding with friends. 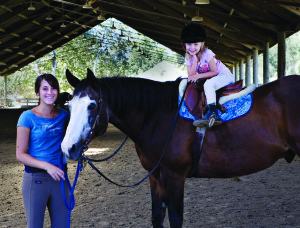 Whether beginner or experienced rider, campers will enjoy lots on hands on time with our patient equine partners. 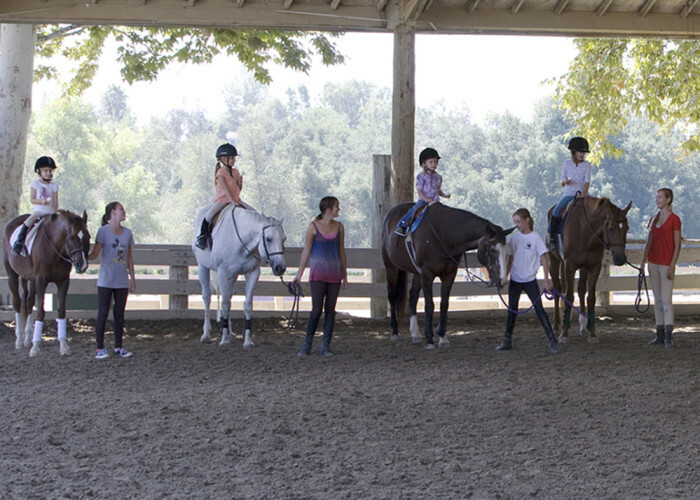 Each day, campers will groom their own horses, spend 1 hour “in the saddle” in a group lesson and participate in a variety of other fun barn activities. Space is limited!!! To secure your spot now… Download the “Registration” and “Release” forms. Mail your completed Registration & Release forms, as well as full camp payment to the address below to secure your spot. *Minimum 3 campers per week. Email amanda@turningpointfarms.com with any questions. BIRTHDAY PARTIES Let us help make that birthday wish come true! 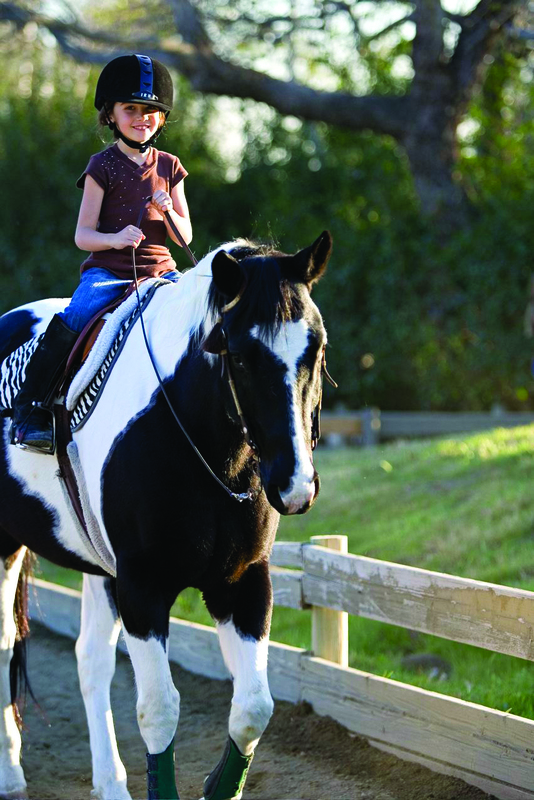 From pony parties to trail rides, Turning Point Farms would like to help make your day extra special. Parties can be booked for Saturday and Sunday afternoons. “Partiers” will learn about horses as they groom and tack them, then spend time riding and playing “horsey games” in a fun and supervised setting. When the riding and untacking is over you may enjoy your refreshments on our private deck. Party Package – up to 6 riders $595 ($75 per person over 6 riders) Each rider will receive a fun party T-Shirt. Parties include 3 hours of riding and learning about horses. Supervision by the Turning Point Farms team including dedicated party leader. *All times are suggested and may be altered based on number of riders and weather. Your desire to have a fun afternoon with the Turning Point Farms team! To reserve your party, email amanda@turningpointfarms.com with your party date and time. Time slots are 1pm – 4pm, 2pm – 5pm, 3pm – 6pm on Saturdays and Sundays. A deposit of $250 is required at booking and full payment is due 1 week prior to your party date. For an additional charge of $7.50 per person, you can schedule a craft where you and your friends will each paint a horse shoe. These are great for using as picture frames! Turning Point Farms has training locations in Coto de Caza, CA and Templeton, CA as well as a lay-up and retirement facility in San Luis Obispo, CA. 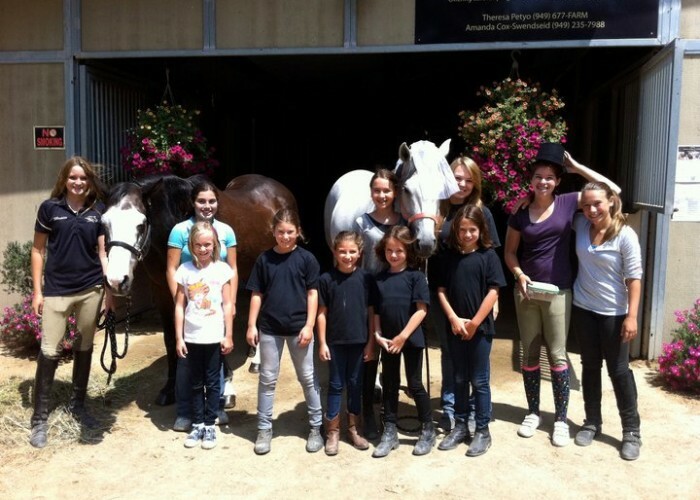 We offer Hunter, Jumper & Equitation programs from beginner to advanced riders. Feel free to visit us anytime Tuesday-Sunday, 9am - 6pm. *Templeton and San Luis Obispo visitors by appointment only. © 2019 Turning Point Farms.